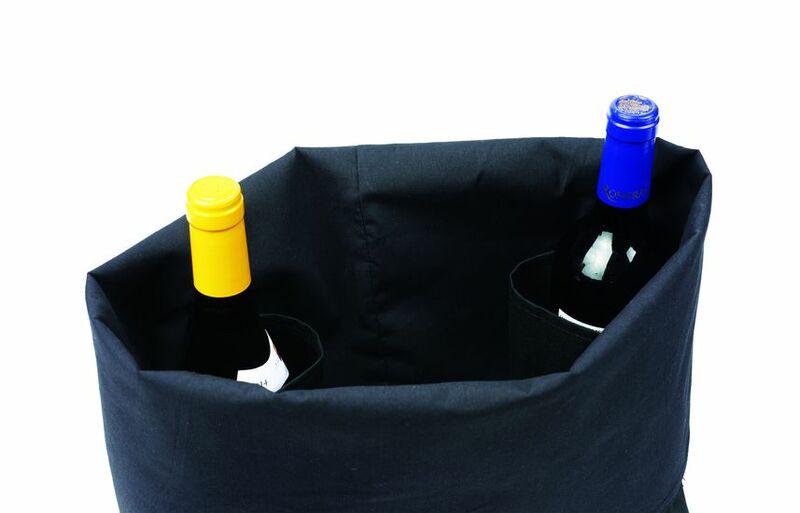 Both a shoulder and a hand bag, Wine City Bag is designed to securely carry two bottles and something nice to eat, perhaps the ingredients for a stylish picnic or aperitif. Two straps secure the bottles at the bottom of the bag. Elastic adjustable closures on a button with a choice of two heights. 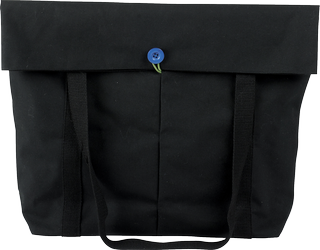 The sides of the bag can be folded back. Hand wash or machine wash at 30°C maximum. Base 35cm x H 45cm. Outer fabric: 90% polyester, 10% viscose. Inner fabric: 90% polyester, 10% cotton. Handles in cotton.